God is teaching me a lot about my faith. That may sound strange.... I guess I should say, God is showing me a lot about my LACK of faith. It is amazing actually. I can feel like the strongest person in the world. There are times when I know that I know that I know, that God is holding me in the palm of His hands and I trust that He is in control. These are the times when life is seemingly perfect. I have a job, wedding plans are good, there are no arguments with my friends or family. While God asks that I trust Him in those times.....it is mainly the times when life seems to be crashing down that He longs for me to trust Him. Thankfully, He knows me, forgives me, and I do my best to trust Him the next time. I am thankful that my Lord forgives and loves me no matter what. 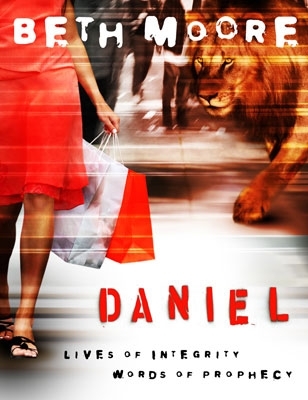 This summer I am studying about the life of Daniel. It is a Beth Moore study that I am so enjoying. "Without stealing away time with God, we won't just grow carnal. We'll grow cold and callous. Whether or not you realize it, these frequent times with God become a healing agent against the world's harsh winds and a healthy defense to still allow you to feel." I do not want to become cold and callous. I need time with Him and on the days when it is a literal battle, that is when I need Him the most. He longs to meet with me and already has my appointment booked. All I have to do is come. I know that my time with Him or at times, my lack of time with Him directly relates to whether or not I choose to trust Him when my world seems to be spinning out of control. May I always choose time with Him because He is the best choice! "Our God will dwell with us until we dwell with Him." Cannot wait to share my trip when I get back!